For a full list of results, visit www.airnzwineawards.com. Another successful haul for GIMBLETT GRAVELS wines at the 2011 Hawke’s Bay Mercedes Benz Wine Awards, securing 5 trophies and 13 gold medals. For a full list of results, visit www.hawkesbaywineawards.co.nz. New Zealand has yet to prove it can beat its Southern hemisphere rivals at rugby, but GIMBLETT GRAVELS has once again proved it can beat all comers with Kidnapper Cliffs Cabernet Sauvignon 2009 being awarded the trophy for top Cabernet Sauvignon and Red Wine of Show at the 5-Nations Wine Challenge, involving wines from Australia, South Africa, Argentina, Chile and New Zealand. Kidnapper Cliffs is a partnership between Te Awa and Dry River wineries, sourcing fruit from Te Awa’s vineyard in the GIMBLETT GRAVELS. For them, it was definitely a show to remember as three of their other red wines won gold medals (see below). Further trophy success was achieved by Craggy Range, winning the Bordeaux Blends trophy with their Merlot predominant Sophia 2009. For a full list of results, visit www.boutiquewines.com.au. Trinity Hill’s The Gimblett 2009 capped off a fine few months winning the Federal GEO Champion Merlot trophy at the New Zealand International Wine Show. The same wine featured as one of the eight wines tasted alongside 2008 vintage Bordeaux at the Hong Kong Masterclass back in June. For further information and results, visit www.nziws.co.nz. These awards recognise the vineyard manager as much as the wines, so congratulations, in particular, to Phil Holden of Villa Maria Group, for winning 3 trophies for wines from Villa’s Omahu Vineyard. Gavin Yortt of Squawking Magpie also collected the trophy for Champion Merlot. GIMBLETT GRAVELS wines from 3 vintages dominated the Merlot class with 4 gold medals and trophy being awarded to the Church Road Cuve Merlot 2009. 2 GIMBLETT GRAVELS Syrahs have collected prestigious gold medals at the International Wine Challenge in London. Mills Reef Elspeth Trust Vineyard Syrah 2009 and Villa Maria Cellar Selection Syrah 2008 secured half of only 4 gold medals awarded to wines from Hawke’s Bay. For a full list of results, visit www.internationalwinechallenge.com. Villa Maria’s Reserve Syrah 2009, sourced from fruit grown on the GIMBLETT GRAVELS, has secured Champion Wine honours at the 2011 Royal Easter Show Wine Awards, announced last Saturday evening. Villa Maria had a night to remember, with their GIMBLETT GRAVELS Reserve Cabernet Sauvignon Merlot 2008 also securing trophy for Champion Cabernet Sauvignon and Merlot wine. Congratulations to Alastair Maling MW and Nic Picone who jointly share the prestigious Wine Makers of the Year accolade. Not to be outdone, the Champion Merlot trophy was awarded to another GIMBLETT GRAVELS wine, the Church Road Cuve Merlot 2008. 10 Gold medals were also awarded to GIMBLETT GRAVELS wines in this show. For further information, visit www.wineshow.co.nz. Four GIMBLETT GRAVELS wines have received accolades at this prestigious International competition which specialises in assessing wines’ compatability with foods. Top ranked wines receive the Blue Gold award, with a further selection of the Top 100 wines made. The 2011 GIMBLETT GRAVELS Gold Medal charge was led by the Villa Maria Group at the recent announcement of the Royal Easter Show Wine Awards results. 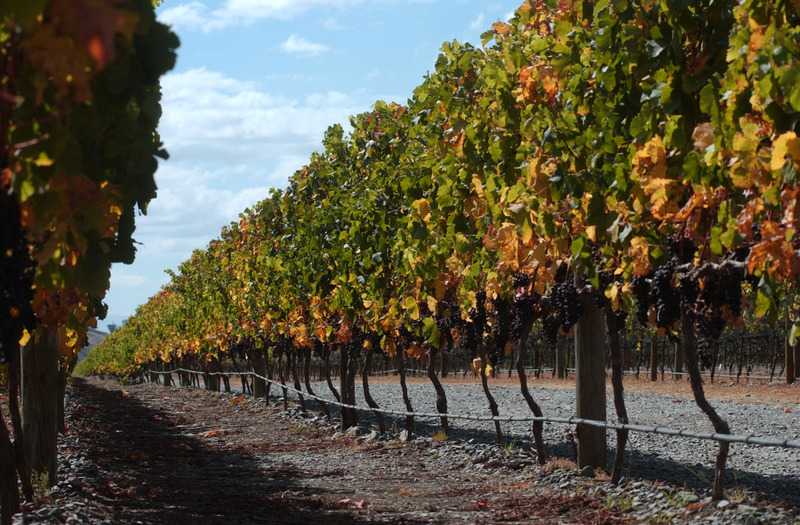 Of the ten gold medals awarded to GIMBLETT GRAVELS wines, eight came from Villa Group, including wines under their brands of Vidal and Thornbury. The medals were collected across four different red wine categories and three different vintages, 2007 to 2009 inclusive. All Gold medal winners remain in the running to become Trophy winners announced at the awards dinner early March. For a full list of results, visit www.wineshow.co.nz.